and they were both filled with the same Spirit while in their Mother’s wombs. Yet, their calling, mission, vision and life approach were so very different from one another and the way they lived out their callings actually caused confusion between the two of them. That confusion can be felt as you read about John sitting in prison where he raises the question to Jesus through his disciples are you really who we thought you were? (Matt. 11:1-3) This is all part of the Christmas narrative. Some of the TOW study done by doctoral students at BGU has been focused on what we have chosen to call the mystery of “Womb Theology” where what happened to John and Jesus is explored and applied to every womb in the world as the Palmist wrote in Psalm 139. 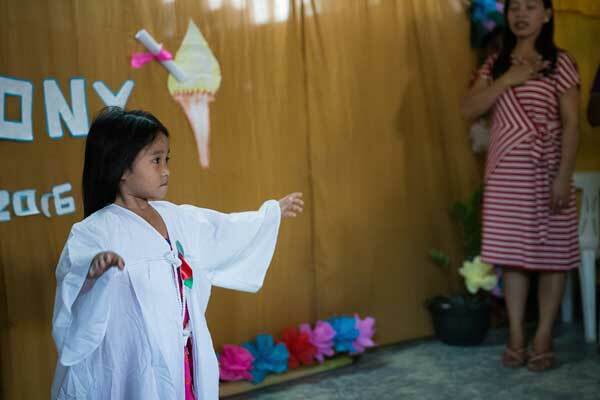 It is with this part of the Christmas story in mind that we share this incredible story of Mission Ministries Philippines (MMP) that is taking seriously the idea that every child is created in the image of God, to be co-creators with God in this world. 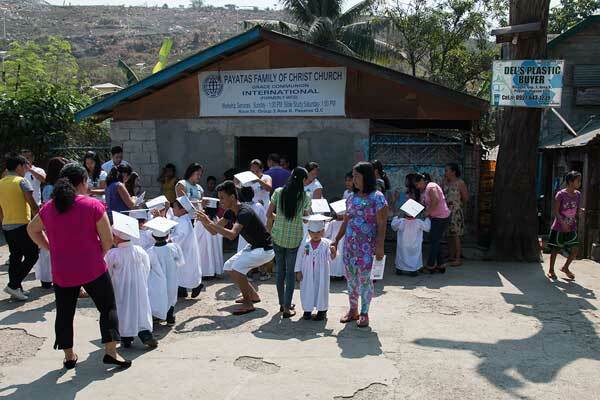 They have started a Gospel movement of pre-schools where children are more than poor needy kids who need handouts; they are helping them become what Dr.Gregg Keen called “agents of community transformation” by teaching TOW concepts to 3-5 year old children in over 1000 preschools nestled into the sums of Manila. Enjoy this wonderful Christmas story! 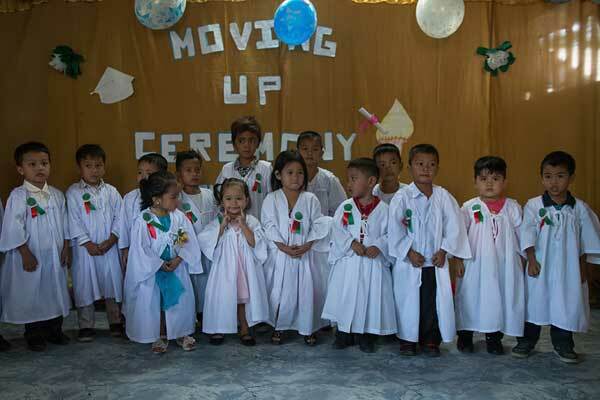 Mission Ministries Philippines (MMP) has worked to bring hope to the children in the slums of Manila for over 30 years under the direction of Drs. Stewart and Corrie De Boer. 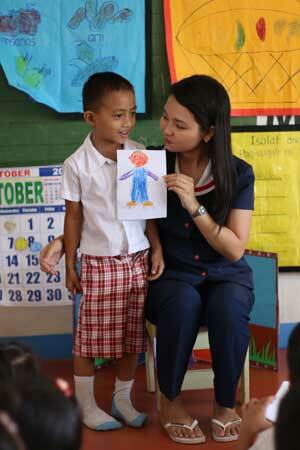 Their preschool team is headed by Ms Chona Domingo. Together they have planted over 1000 preschools in those slums taking the good news of God’s engagement with Children by developing these education centers in places of incredible poverty and chaos. Read the article below explaining their country’s view of education of young children and take the time to read the answers given to some questions about the article given by Chona Domingo and Corrie De Boer that will further clarify the wonderful story of the KIDPRENEUR Curriculum that could be available for you to use in your setting. MERRY CHRISTMAS! "KIDPRENEUR" is a self-paced curriculum with real time hands on tutorials for children to develop entrepreneurial ideas and attributes that will become building blocks towards an entrepreneurial journey in each child’s life. "KIDPRENEUR" provides opportunities for community partners and others engaged in early childhood programs to further connect with parents through additional entrepreneurial training - thus creating a stewardship transcending into the sustaining lifestyle within the family structure. "KIDPRENEUR" establishes sound beliefs in each child & family member towards the importance of economics and the value of saving & budgeting resource wisely. "KIDPRENEUR" curriculum integrates bible characters that exemplifies the featured entrepreneurial attribute with added subject contents like Math, Science and Language. ► Ten Story books: Real life stories of entrepreneurs who started as a child. First, we would like to thank Dr. Corrie De Boer (Co-Founder of MMP/Early Childhood Education) & Ms Chona Domingo (Executive Director of MMP/Early Childhood Education) for providing the answers to these questions and for sharing Kidpreneur with us, and Mr. Vinnie James Petti (MMP's Communications Director / Missionary) for sharing the photos, videos, and links to complete this story. Could you explain what the change in the educational philosophy in the Philippines that needed to be reformed? Strauss can also be referring to the educational philosophy during Industrial revolution, where children are viewed as passive learners and teachers as the experts. Under this philosophy children are not encouraged to be creative, to collaborate with other children because the environment prohibits them to do so. The methodology is very structured and teacher directed so children ended up like a machine who simply absorbed whatever is provided by the teacher. And with the kinds of children raised under this approach they will have a hard time thriving and living in a world that is rapidly changing. This reality is probably one of the reasons why the Department of Education enacted REPUBLIC ACT NO. 10157 in January of 2012 – The Kindergarten Education Act. 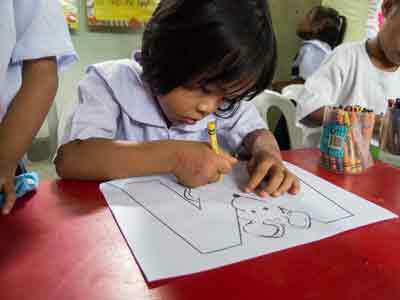 This law made kindergarten an integral part of the basic education system in the Philippines and offered a curriculum that will introduce Filipino learners in the world of work or Entrepreneurship. 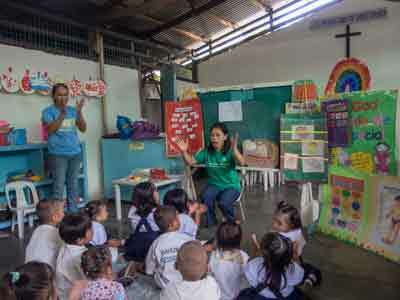 This law made Kindergarten an integral part of the basic education in the Philippines and the curriculum introduces the children to the 21st century skills. 21st century skills are certain core competencies the teachers need to teach so that children can thrive in today’s world. The foundational 21st century skills are Collaboration, Creativity, and Creative Thinking & Cooperation. These skills are intentionally integrated in the new Kidpreneur curriculum. 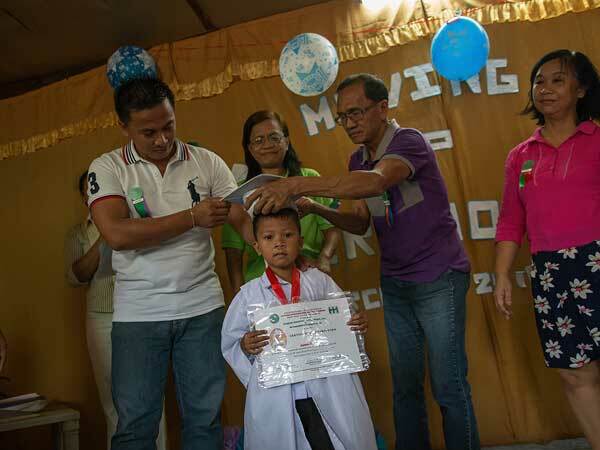 Since 1984, MMP (Mission Ministries Philippines) has been advocating a Developmentally Appropriate Philosophy where children are encouraged to be creative, active and that they learn best when they are able to pursue their own interest. The Kidpreneurship curriculum we developed is a sequel of the ECE curriculum being used by our partners. This curriculum will continually set the stage for children to be active learners. We need to hear the "whys", the "hows", and the impact of Entrepreneurship for Children. What have your children learned and how have the parents been impacted by the whole KIDPRENEUR curriculum? Answer: Our curriculum is four years in the making. We will officially launch it on April 29, 2017 and you and BGU friends are invited. In preparation for this launching we will have a trainers training on Dec. 8 for selected schools and churches who would like to pioneer the use of the curriculum before its launching. What I can share is what I personally witness and heard from our old MMP Partners where we got our inspiration in deciding to venture on this new curriculum. The school which we had the privilege of partnering with in the early 80’s made a policy that anyone who chooses to enroll in their school from preschool to elementary should open a bank account with an initial deposit of Php. 100 ($2) . All the students are given a piggy bank and they are encouraged to have daily savings. Every month a banker will visit the school and collect the savings of the children and deposit it to their account. In fact last Monday (Nov. 21) I had the chance to talk to the Directress of the school, she said one of their preschool students named Paul has a bank account savings of Php. 1,200 ($ 25) . 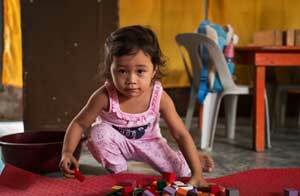 For a typical indigent Filipino child that is very unusual. Part of the curriculum is where each class is encouraged to manage the school canteen. Each class will cook or decide to sell something and all the students are encouraged to buy. At the end of the day the teacher will facilitate a session where the income will be computed and they allocate special fund for tithes and benevolent fund. The children would have a share from their class income. Subjects like Math, Language, Civic and culture are integrated in this Entrepreneurship activity. They also have a Market Day activity where each class or student will have a product to sell in the community. They are encouraged to produce something to sell or buy and sell items. They also volunteer to the nearby McDo and serve as crew staff. These are some of their activities which I am sure has an impact not only to the kids but to the family as well. These activities are undertaken to impress on the kids the value of work. The kids are taught at an early age that working is important endeavor and part of God’s plan for people and that God is a working God. How did you come to the conclusion that this was a right thing to do to change your curriculum to include Entrepreneurship? Answer: We are not changing our curriculum but this Entrepreneurship curriculum is to enrich our existing one. We thought that this is the right thing to do because children are now growing in a world that is rapidly changing. Kids who have entered now the 21st century should be ready for globalization and change. We believe entrepreneurial skills are not only for business but it is in itself Life skills. Just like any other lesson, the earlier the children can learn the better it is.Furthermore a study conducted in 2007 and then repeated with similar results in 2010, the Kaufman Foundation, shows that Kids are in fact more likely to start a business or aspire to do so if they knew another entrepreneur. This research inspired us to select ten entrepreneurs who started as a kid in their business endeavor. Dr. Stewart De Boer graduated from MS in Entrepreneurship from Asia Institute of Management, the premier school in Asia on business and entrepreneurship in 2003. He encouraged the MMP staff to change gear from purely faith based mode depending on foreign funding to becoming entrepreneurial and we realized as we studied Theology of Work from BGU, Dr. Lowell Bakke, Dennis Bakke and Dr. Ray Bakke we believed they were affirming what Dr. Stew De Boer has been impressing upon us. We believe such concepts need to be taught to kids as soon as possible to enable them to develop at an early age some habits of entrepreneurship like wealth creation, creativity, innovativeness and stewardship. We were also inspired by the work of Prof. Rex Ressureccion and his wife Anji, our partners in Balara Christian Academy who started to teach poor kids entrepreneurship. Rex graduated from The Hague in Holland in Entrepreneurship and he and Anji started to teach kids to be entrepreneurs. Their school inspired us to plan a social movement enabling kids to become entrepreneurial. We now have over one thousand preschools all over the Philippines and we dream of seeing all these schools adopt our Kidpreneur curriculum and produce the next generation of Pinoy leaders. We learned the kids’ parents and sibling are so excited and happy that they also venture into entrepreneurial activities. Naturally the impact is better quality of life for the families. The school expanded from preschool to become a high school. The kids have funds to pay their teachers and the school is truly sustainable. The Lord protected the school because when time for the government to demolish the squatter area nearby for road widening the school was spared from being torn down. The nearby public school was transferred to another site so the Balara Academy did not have much competition. What is the stewardship part of that process you talk about in the brochure? Answer: By definition Stewardship is built on the premise that we have not created anything therefore we own nothing. We are simply stewards or managers of God’s creation. Faithful Stewardship is based on accountability. MMP is accountable to God on how we train the children and their parents as well. MMP acknowledges that children are the greatest gift of God to their parents. We are committed as a Christian mission to train not only the children but their families as well. One the highlights of our new Kidpreneur curriculum is learning some stewardship skills and values like; giving, generosity, budgeting, risk taking, creativity, innovativeness, imagination, and social responsibility . Have you expanded the idea that God calls children as much to business as he does to the pulpit? Have you thought through the biblical calling of God to children what I would tend to call the womb theology of calling? Answer: We believe God has a unique calling to children. Our Preschool Educational Philosophy strongly stands on this. Prov. 22:6 admonishes us to train them based on God’s design for their lives, so whether they are called into business, politics, ministry or as an a employee, we teach them that God’s call is sacred regardless of what kind of work they do. There is no distinction between sacred or secular in God’s sight. What matters to us is for them to choose a career based on their passion and design. We wanted our children to be the best version of their chosen career. Preschool stage is the best fertile ground to prepare them for their future career. Although, we have to admit that the bias or bent of the curriculum is raising future business man someday, but the entrepreneurship skills we are introducing in our new curriculum are life skills favorable to anyone who will be successful in life. Prov. 22:6 admonishes us to train them based on God’s design for their lives, so whether they are called into business, politics, ministry or as an employee, we teach them that God’s call is sacred regardless of what kind of work they do. The entrepreneurship skills we are introducing in our new curriculum are life skills favorable to anyone who will be successful in life. What would be the best way others could use this curriculum? Answer: The best way apart from teachers using it to teach preschool kids, it can also be used by parents and elder siblings to teach it to the kids from 3 to 8 years old in their families. We like to encourage families to create a culture of providing opportunities for kids to become entrepreneurs. Culturally Pinoys are taught to become service providers. This is why we produce several care givers, social workers, teachers, nurses and doctors. Can we create a culture starting from our young children; a culture of entrepreneurship where kids can learn how to become wealth creators, job generators, imaginative inventors and innovative thinkers? This is our advocacy and we believe it is possible. We also want to instill a "CAN DO" attitude on kids. The materials are also designed to be used as Sunday School Materials. The kids will learn the biblical character counterpart of the ten Entrepreneurs that we selected. For instance if we talk about Bill Gates whom we believe embodies “Knowledge and Skills” King Solomon is his counterpart. So there are activities that talk about Solomon, memory verse and integration of Subject contents as like Social, Language, Math & Science.